One mole of a monatomic ideal gas initially at a volume of 10 L and a temperature 300 K is heated at constant volume to a temperature of 600 K, allowed to expand isothermally to its initial pressure, and finally compressed isobarically (that is, at constant pressure) to its original volume, pressure, and temperature (a) compute the heat input to the system during one cycle. 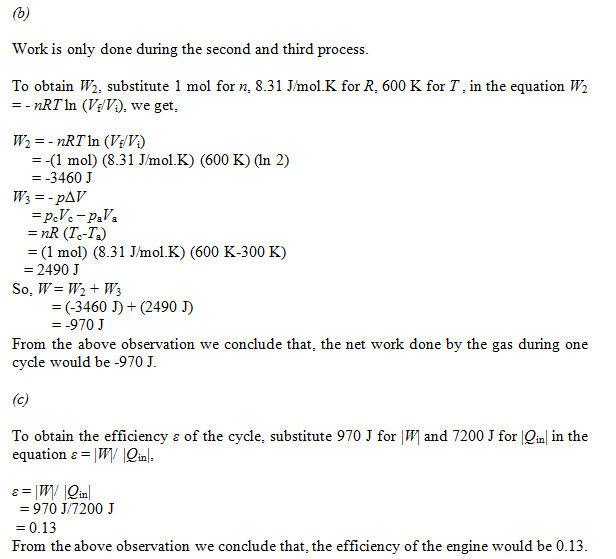 (b) what is the net work done by the gas during one cycle? 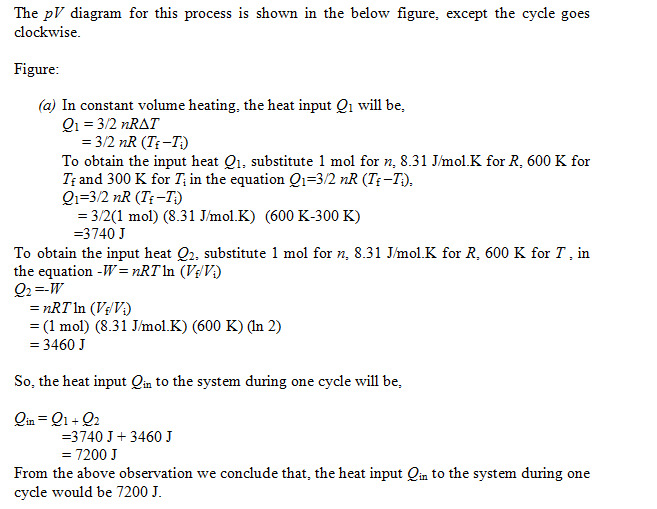 (c) What is the efficiency of this cycle?